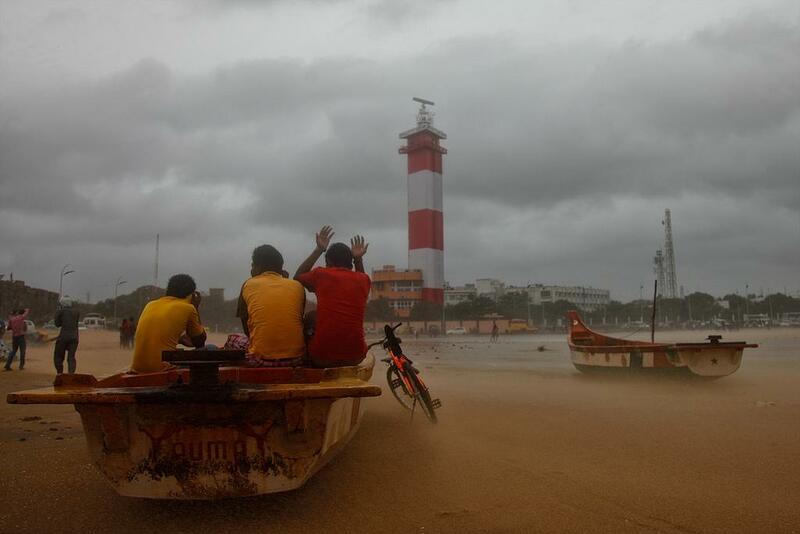 The India Meteorological Department (IMD) has issued a warning for cyclonic storm Nada that is expected to hit the Tamil Nadu coast on Friday, December 2. The meteorological department has said that the storm will likely make landfall close to Cuddalore, around 185 km south of Chennai. Currently, the storm is about 330 km south-southeast of Chennai in the Bay of Bengal. The system is moving west-northwestwards at about 22 kmph and is expected to weaken into a deep depression by the time landfall occurs, according to the Met department. According to S Balachandran, director, Area Cyclone Warning Centre, strong winds and heavy to very heavy rainfall is expected over coastal Tamil Nadu and Puducherry with squall winds of 45-65kmph. Fear of a repeat of last year’s deluge has prompted caution as the National Disaster Response Force has reportedly sent four teams to Chennai, Cuddalore and Nagapttinam districts. A warning has also been issued for fishermen to avoid venturing into sea, while schools in Cuddalore, Nagapattinam and Puducherry have been declared closed for today and tomorrow (December 2).